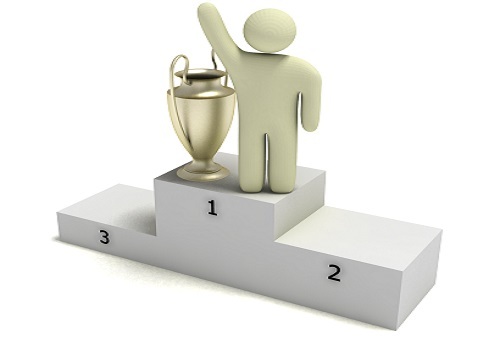 Best Casinos for Tournaments - which casinos have the best tournaments? 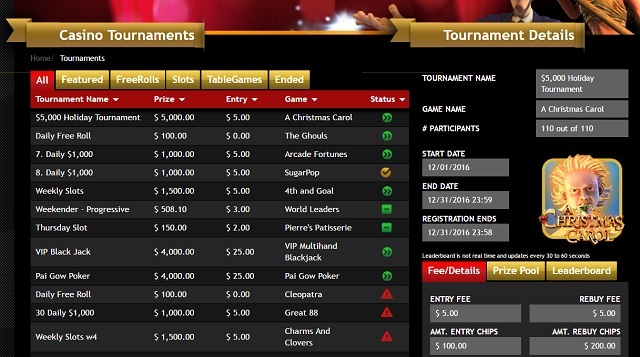 Casino tournaments add an extra bit of spice to your game, allowing you to play against other players for much higher prizes than normal, but for a lower cost. You buy-in for a fixed amount and are given a number of chips which you use, usually on slots, to try to win the most amount in a fixed amount of time. The other kind of casino tournament is the ‘reel race’ leaderboard tournament, where you simply rack up points for every spin and whoever gets the most points wins! 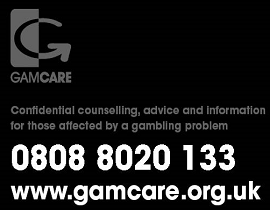 There are some casinos, probably most of them in fact, that don’t offer any kind of casino tournaments, it’s just you and the games, with maybe some free spins thrown in every other week. On the other hand, there are those top casinos that specialise in casino tournaments and feature regular competitions, sometimes as much as every single day. If you’re a player that lives for the thrill of real casino tournaments then you’re in luck as we have assessed the very best casinos for tournament play and selected the top three. World famous for their casino tournaments, there’s no other casino that comes close to 32 Red for high payout casino tournaments. As well as featuring regular fortnightly and daily freerolls, you will find monster tournaments with £100,000 prizes, accumulator casino tournaments, reload casino tournaments, long haul ‘survivor’ and all-dayer tournaments and just about every other casino tournament format you can imagine. At any one time there are several tournaments on the go, you will always find one that suits your playing style and the variety of slots that are used for tournament play means the games are always fresh and exciting. As well as buy-in casino tournaments, 32 Red also have regular ‘reel race’ leaderboard tournaments, with an average prize of £25,000. There is always a reel race available to play in, in fact there are so many kinds of tournaments going on at 32 Red at any one time that it’s difficult to keep up! One thing is for sure though, when it comes to the best casino tournaments with the biggest prizes, 32 Red can’t be beat. 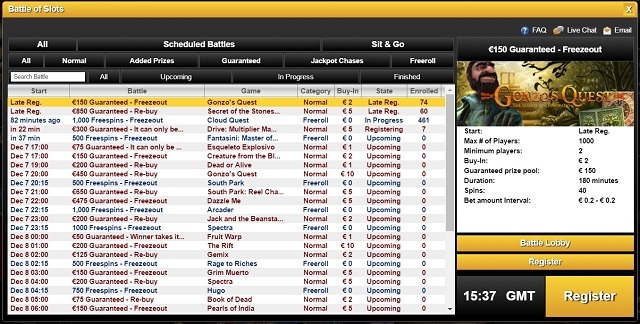 Videoslots has significantly more casino tournaments than 32 Red, although the prizes are not quite as big. 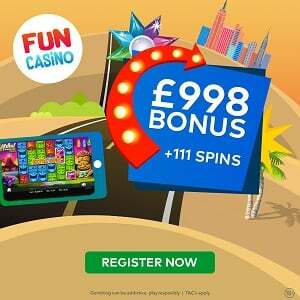 You won’t find the £100k prize tournaments here but you do get a whole range of different tournaments such as rebuys, freezouts, sit n go’s, and heads up slots tournaments. Aimed at lower stakes players, these tournaments typically have between £25 and £1000 guaranteed and there are half a dozen daily freerolls where you can win free spins. As you can imagine these are incredibly popular, attracting thousands of players every day. There are so many tournaments here that they have their own ‘Battle Lobby’ which is laid out like an online poker room lobby. There’s little doubt that when it comes to sheer quantity of casino slot tournaments, Videoslots has no equal. For those who want to play for bigger stakes there is the weekly £40k casino race leaderboard tournament, so something for everyone! Drake casino has a fantastic selection of casino tournaments, including table game tournaments such as blackjack, and pai gow poker. There are at least eight £1000 tournaments most days, on a variety of the latest slot games, as well as half a dozen daily freerolls. The weekend progressive tournament is one to keep an eye on – the prizepool can get pretty high, while there are high stake VIP blackjack tournaments and bonus poker tournaments with £5000 prize pools. The only reason Drake Casino is not number one is because some of the Betsoft slot tournaments are not open to UK players. Apart from that, Drake casino cannot be faulted for their unparalleled selection of casino tournaments at both low and medium stakes. Drake casino welcomes players from the United States and most other countries, making the tournaments very popular with casino tournament players across the globe.